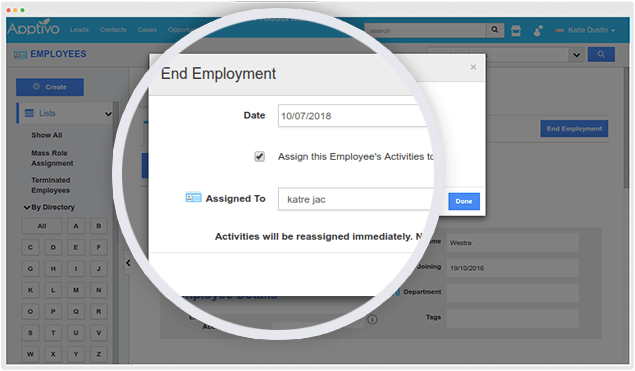 Add and import Employees, Assign them roles and responsibilities, put them into team and dissect their activity reports everything in a solitary dashboard. 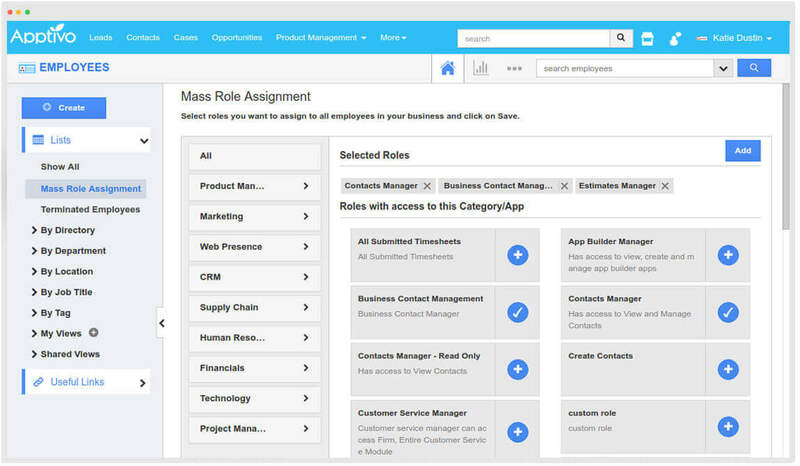 The Employees App, the core part of Human Resource Management Process enables you to manage your human resource management process in an effective and one of a kind way. You can create and maintain the list of employees working in your organisation. 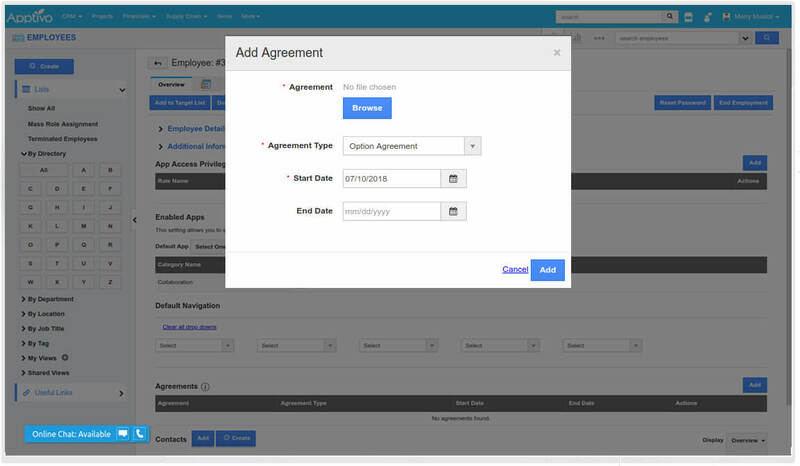 Assign a specific role to all your employees in business thus making each and every employee access to selected role. Employee with super user privilege can provide this. Attach agreements which maintain a loyalty between the Employee and the Organisation and acts as a debt instrument which certifies to be a contract between them. Set a shift time for your employees to work for your business. 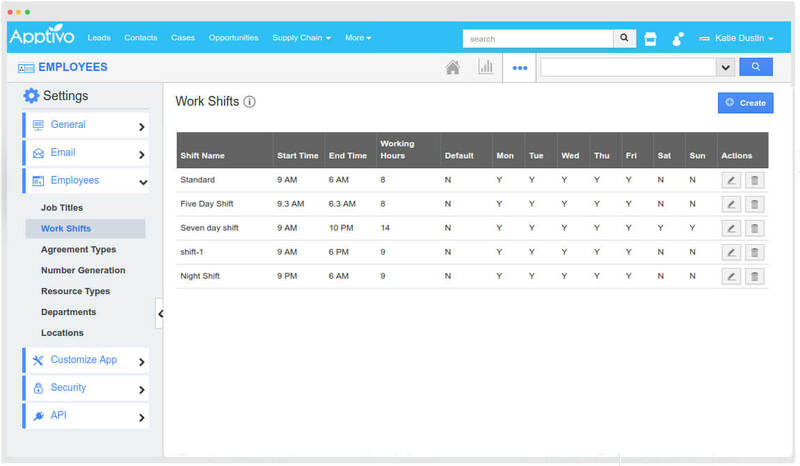 Create a new work shift and set it to your employees based on your requirements. 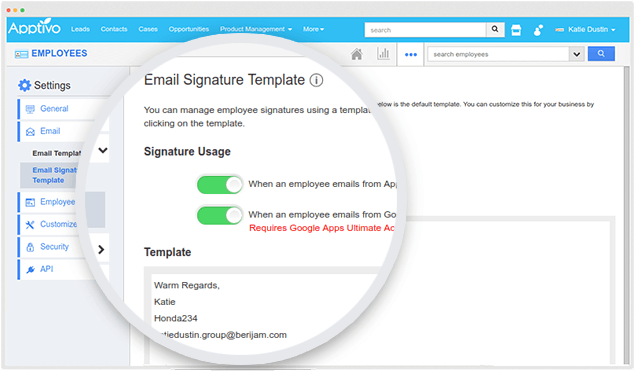 Apptivo helps in managing all of your employees email signatures and creates a unified signature for the company. 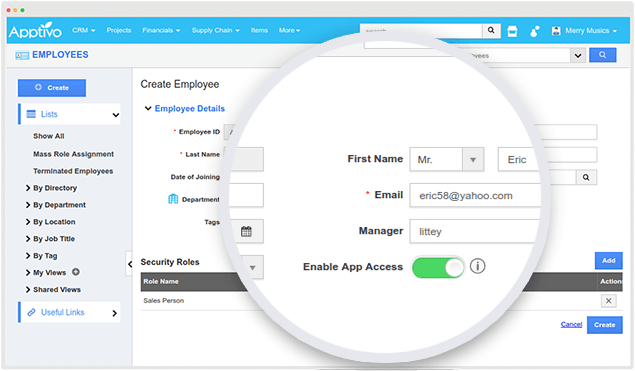 It also includes the Employee’s personal information automatically. End the employment of the users who had been terminated from organisation and assign their roles and responsibilities to other employees making the work simpler.